Why look any further? Fantastic location! 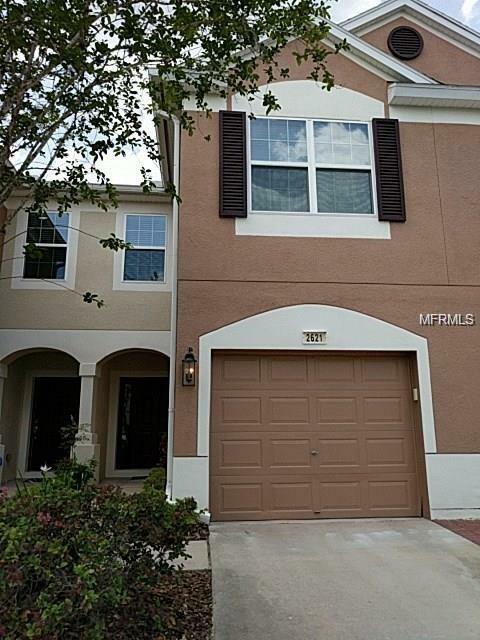 Wonderful townhome in the Bay at Cypress Creek on a conservation lot. The community offers a lovely pool and gated access. This townhome is like new, vacant and waiting for you. It features 3 bedrooms, 2 baths and a one car garage, two-story unit with all 3 bedrooms on the 2nd level, 1580 sf, a garden tub with shower, family room/dining room combo, fire/smoke alarms and walk-in closet in the master suite. All appliances are included: microwave, range/oven, dishwasher, refrigerator, washer and dryer. Wall to wall carpeting, upgraded tile kitchen and baths, window blinds and covered/screened lanai. The bay at Cypress Creek is located off SR56 just mile east of I-75 and just North of the I-275 split with easy access to the airport and downtown. Convenient to shopping and restaurants, the Wiregrass Mall, Wesley Chapel Outlets and great schools!